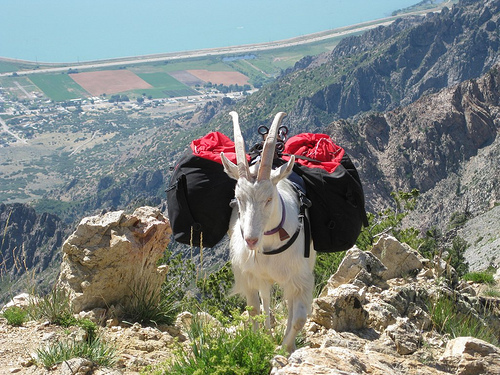 The North American Packgoat Association is an organization started in 1999 that promotes the use of goats as eco-friendly pack animals. NAPgA is on the front lines protecting your right to use packgoats on public land. This right is in dispute, as many BLM and Forest Service areas are closing or attempting to close access to goats. Your involvement is needed! One of NAPgA’s most vital functions is keeping abreast of the most recent proposed closures and fighting to prevent this from happening without your input. MEMBERSHIP – Joining NAPgA is the best way for your voice to be heard. Membership dues help support research and legal fees involved in keeping public lands open to packgoats. Members also have exclusive access to NAPgA’s newsletter for up-to-day info, as well as access to the member database.